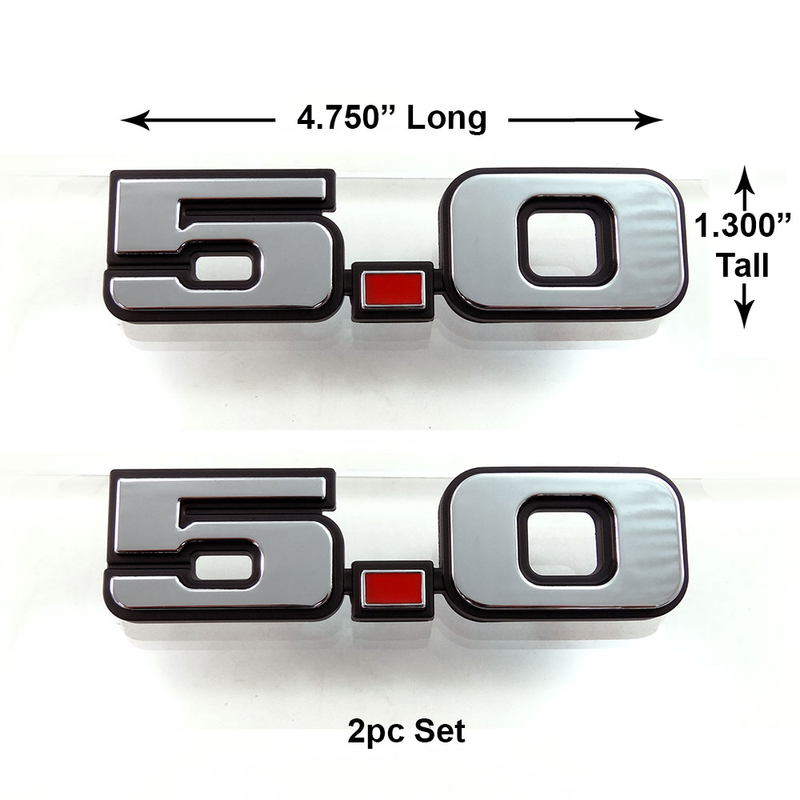 Restore the look of your 79-93 Mustang 5.0 with these new Chrome 5.0 emblems. Matches the 79-93 Mustang 5.0 emblems and installs with 3M adhesive backing. Installs in minutes with provided 3m adhesive backing. 1979 1980 1981 1982 1983 1984 1985 1986 1987 1988 1989 1990 1991 1992 1993 1994 1995 Ford Mustang GT 5.0 LX Shelby Roush Saleen & Steeda Vehicles. No one else can stack up to the bold clean styling of our aftermarket Billet dress ups, Street Strip & Racing Suspension & Performance Parts for your late model American Muscle Car!